Samsung will resume sales of its Galaxy Note 7 smartphone in South Korea later this month. The world's largest smartphone maker halted the global rollout of its new phone on Sept. 2 after reports of the devices catching fire. Since then, Samsung (SSNLF) has been scrambling to recall and replace 2.5 million Note 7s it had already sold. Sales will resume in its home market on Sept. 28 and in other countries when conditions allow, a company spokeswoman said. The Note 7's battery problem affected 0.1% of the phones sold worldwide since August. But the recall has wiped billion of dollars off the South Korean firm's market value. 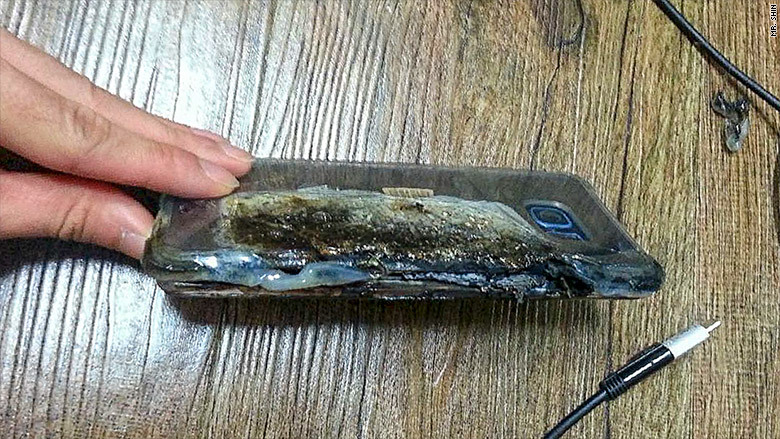 A damaged Galaxy Note 7. The fire risk has prompted warnings from authorities not to use the phones on planes, trains and buses. U.S. regulators officially told users on Thursday to "immediately stop using and power down" the devices. Samsung plans to start providing new "battery-problem-free" Note 7 phones to current owners in South Korea on Monday. It also plans to issue a software fix that will prevent the batteries from charging above 60% of capacity. Some customers have expressed frustration at the company's response to the crisis. 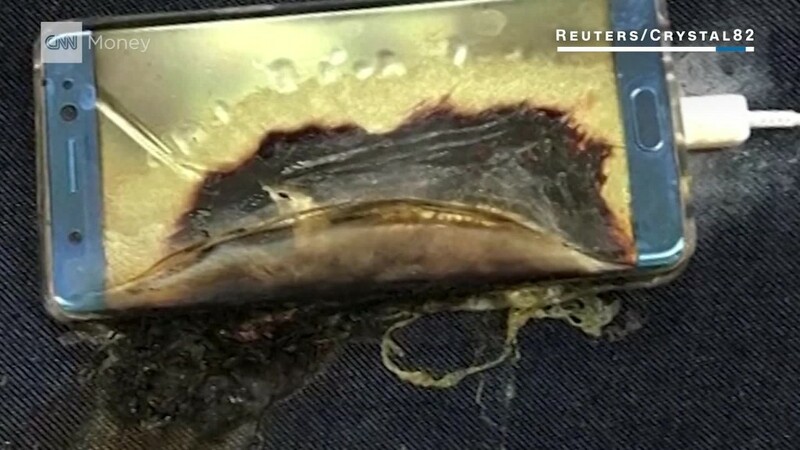 "Every time I charge my phone, I wind up reaching over and touching it to see if it's getting warm," Note 7 user Andy Shannon told CNNMoney on Thursday. "It does make me nervous." -- Jethro Mullen, Jungeun Kim and Jill Disis contributed reporting.